The main thing when it comes to gut and immune health is to maintain diversity of the gut microbiota. "The main thing is to keep the main thing the main thing". 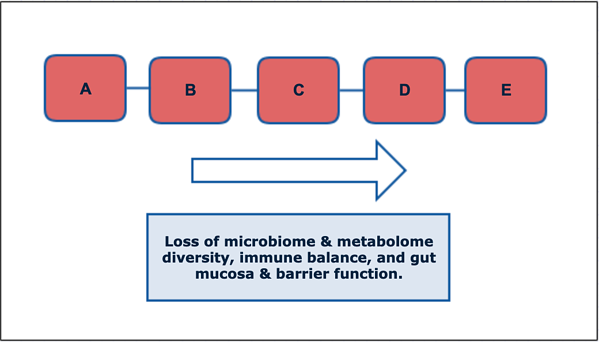 The main thing that is consistent with IBS, Celiac disease, Crohn’s disease, Colorectal cancer, obesity, and general gut dysfunction - is a loss of microbiome diversity (1). This article will help you "keep the main thing the main thing" & detail how to replenish diversity in a stepwise fashion to avoid the frustrating pitfalls of conventional advice. A high number of plant and animal diversity is a central feature of a healthy rainforest. In a temperate forest you can expect to find the same trees, plants, ferns, squirrels and deer scattered uniformly across its miles. Yet, in a rainforest, species are scattered in super diverse regional niches. This "super diversity" is what makes the rainforests the "lungs" of the world - breathing life to the earth & offering adaptability to change. One might wipe out an entire species with the loss of only a small section of the whole. With each species loss, unique botanical remedies & cures can be lost too. This makes a rainforest a perfect analogy for the diverse microbiota found in the regions of the gut. Your gut is a rich ecosystem & a high level of diverse microbes is essential for it to function normally. The gut delivers vital protective and sustaining roles for the entire body. Lose a few key species and weeds and invasive predators can take over. An ecosystem model of gut function offers a sliding scale of gut dysfunction. Important Note: A sliding scale spurs both proactive or reactive action - the model works the same whether you are sick currently or trying to ward off disease in the first place! As we look at the chart below, symptom severity generally increases as you travel further to the right. "Where" one falls on the scale does not necessarily correlate with the severity of symptoms experienced, nor with the "aggressiveness" of healing support needed to get the system back on track. There's always hope as one systematically protects the gut from losses and replenishes microbiome diversity & mucosal health. A.) Digestive insufficiency, inflammation, dietary excess, & malnutrition promote swings in microbial diversity. B.) As diversity falls, imbalance, “dysbiosis”, or leaky gut develops. "Endotoxemia" occurs as early as this stage. C.) Dysbiosis is a state of relative overgrowth of bacteria or yeast. Lead to pH changes & less competition to crowd out opportunistic organisms. D.) Overgrowth can become clinical state such as small intestinal bowel overgrowth. Can contribute to more serious chronic complications. E.) Overgrowth can become an infection with threat of serious acute complications. Recurring issues with bacteria or yeast overgrowth is a continued sign that diversity is low in the gut or that triggering factors are still driving imbalances. Individual microbes that comprise the microbiome will differ between individuals - even if they share the same high level of diversity. Efforts to replenish diversity with individual strains can be misguided. The urge to find the exact strains to fit your exact health profile may be possible in the distant future - however, because healthy guts differ in their individual variation, current research teaches us that a focus on general groups & diversity of bacteria & yeast may be more beneficial than efforts to identify specific strain deficiencies. The one thing that is consistent among healthy guts is high diversity, and likewise, among unhealthy guts is low diversity. Address acute inflammation, digestive deficiencies, food triggers, infection, or mucosal repair. Add keystone microbes that are modulatory in nature. Introduce probiotics that are more stimulatory nature. Titrate (start low and work up) an introduction of prebiotics to bolster diversity further & maintain diversity. Also titrate more complex dietary or supplementary prebiotics. Expand diet to contain more diverse vegetables, rich in diverse starches, polyphenols, and phytochemicals. Reassess & decrease supplements as warranted. Continue proactive strategies based on personal tendency and/or genetic vulnerability. *Along the way taking a step back as needed to address overgrowth & infection, "die-off" from microbial death & rebalancing, inflammation & autoimmunity, food sensitivities/allergies/intolerances, digestive deficiencies, & mucosal maintenance & repair. Problems with gut protocols are rooted in introducing a step too early, or failing to address overgrowth, infection, die-off, inflammation, autoimmunity, food sensitivities/allergies, intolerances, digestive overwork and secretion deficiencies, & general mucosal repair. A gut cannot be inflamed & rebuilding at the same time. Probiotics - The World Health Organization defines probiotics as "live microorganisms, that, when administered in adequate amounts, confer a health benefit on the host"
Prebiotics - Starches, fibers, polyphenols, and phytochemicals that feed & maintain gut microorganisms. Synbiotics - Probiotics and prebiotics taken together, especially when the prebiotic(s) selectively promote the included probiotic(s) - often leading to synergistic promotion of microorganism growth. Microbiome / Microbiota - The combined microorganisms in a given environment (examples: gut, skin, oral, vaginal, whole body, soil). Interdependent with the state of the metabolome. Metabolome - the combined metabolites, microbial byproducts, or physiologically active molecules in a given environment. Includes internally-derived & microbiome-derived metabolites. Interdependent with the state of the microbiome. Dysbiosis - an imbalance of natural flora in the gut, commonly associated with chronic, low-level inflammation and leaky gut. Overgrowth - A more pronounced imbalance of flora in the gut. Can be called an "infection". Severity is "relative" in that it can lead to serious chronic health presentations, feed inflammation, autoimmunity, as well as disordered metabolism. Overgrowth may also set the stage for infection to occur. Involves otherwise healthy bacteria or yeast that is overgrown due to lack of competing organisms, excess fuel source (ex. sugar), or lack of diet diversity (less prebiotic fuel). Infection - An overgrowth of an outside microbe, or a more acute overgrowth of a natural microbe, or growth of a microbe outside of its normal environment that is health-threatening. The "health-threatening" aspect can also apply to dysbiosis & overgrowth. If replenishing the microbiota is the goal - what causes a loss in microbial diversity? Microbe diversity is lost from antibiotics, alcohol use, consumption of inflammatory, allergic, sensitive, or intolerant foods. Birth history, especially c-section delivery and formula feeding, also plays a large role in the development of flora diversity & may determine why one person needs more support than another. Excess carbs and simple sugars combined with low diversity in starches, fibers, polyphenols, and phytochemicals from food is also a perfect recipe for low microbial diversity. Stack those features together - and now you have a “perfect storm” for loss of microbial diversity in the gut. Disruptions in gut function, topped with genetic vulnerabilities, can lead to leaky gut, inflammation & widespread immune issues. Someone with a polymorphism in the HLA DQA2 or A8 genes will be more sensitive to proteins in wheat - but that genetic sensitivity may only be triggered if wheat is an early staple of your diet. These are easy to test with a cheek swab or blood test. Because the circumstances vary per individual, it’s easy for the skeptics to cry that gluten-free diets are just another fad - while advocates cry that it’s the root cause of all of their health problems. 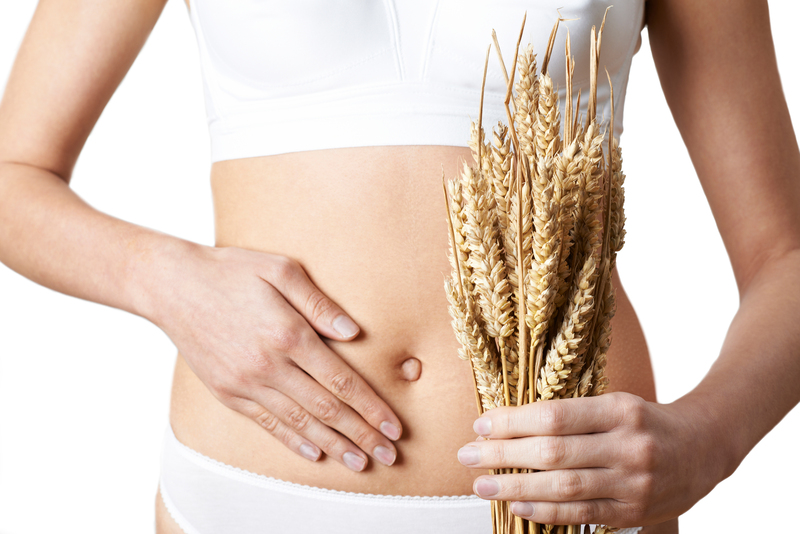 A healthy gut, in theory, should be able to tolerate some wheat in the diet - just not the gobs of it that are standard in first world diets. Wheat today is also very different from the wheat of yesterday - and the wheat in the United States is different from the wheat consumed in the European Union. You can say the same for wine & beer. Many who travel abroad remark how they can tolerate many of the foods that would have them keeled over in discomfort in the US. With diet diversity, sensitivities may just smolder under the surface & never kindle a raging fire of diagnosable Celiac disease - but certain gene combinations will increase the likelihood that wheat is a problem. When the smoldering fire still causes problems but does not meet the standard medical criteria of "Celiac", it is called “non-celiac gluten sensitivity (NCGS)". NCGS is associated with “extra-intestinal” (outside of the intestine) gluten symptoms where a food sensitivity may cause neurological symptoms, brain fog, fatigue, joint pain, skin rashes and other presentations without noticable symptoms in the gut. Standard medical practice only diagnoses celiac disease if you first test positive to one of two antibodies, and then follow with an intestinal biopsy to confirm damage to the small intestine. The issue is that there are up to 24 antibodies related to wheat, not just the two related to gluten, that can be problematic that can create immune sensitivities to wheat. You might test negative for the two most commonly measured, but be positive for one or more of the remaining 22 antibodies. Additionally, damage to the intestines does not occur uniformly across the gut - it can occur in patches. The damage with celiac disease occurs microscopically. There's a chance that they biopsy from a healthy part of the intestine & a diagnosis is missed despite the presence of positive antibodies. Many with NCGS, or celiac disease go many years (or a lifetime) without being diagnosed. From a 10,000 foot view, those carrying risk copies of the HLA genes are at higher risk of gluten sensitivity - and may proactively reduce or eliminate wheat in their diet so an antibody sensitivity or allergy is never triggered. Maintaining microbial diversity is that much more important for these individuals. This is just one snapshot of the dynamics behind diet diversity and genes. A healthy gut can make you more tolerable to food that may be otherwise difficult to digest or bring your immune system on edge. Maintaining the diversity of your gut microbiota is critical - it’s your blueprint to overcome any predilections you may have to food sensitivities, gut inflammation, or immune imbalances. It's also why so many people are failed by the conventional medical system that does not "recognize" why wheat may still be a problem with someone who does not have clinical Celiac. The same story can connect to milk, corn, eggs, tree nut, or soy allergens. It can also apply to otherwise benign foods that you happen to have a heightened antibody response. How do you maintain tolerance to these foods? By supporting and sustaining microbial diversity in the gut! In return, gut integrity is maintained. We absolutely know that a healthy gut is diverse in gut microbes - and while the exact mix of microbes differs person to person - there are general rules of thumb that we can follow to replenish and maintain diversity. The most common probiotics include Lactobacilli, Bifidobacteria, Bacillus, & Saccharomyces bacteria. Others are important but are not stable enough to supplement orally (although this is changing with a new butyrate-producing probiotic called Butyrate Ultra). You otherwise maintain these strains with prebiotic starches from the diet and supplements. Deficiencies in any one of these groups of flora will allow dysbiosis, overgrowth, or infection to develop. A gut microbiome that lacks diversity - sets an environment where imbalances and overgrowths occur more easily - triggered at lower thresholds of insults than what may have been tolerated previously. Promoting general groups of probiotics is often enough to shift the balance back in your favor and re-establish balance, pH, and higher diversity. Small intestine bacteria (Lactobacilli) tend to be more immune-stimulating, and large intestine or colonic flora (Bifidobacteria) tend to be more immune balancing. I start with the balancing colonic flora and work my way up to more stimulating strains for this reason! Lactobacilli focused probiotics may slow your efforts to replenish a loss of diversity (2). They are still important long-term but can be troublesome if introduced too early into a protocol. Probiotic "Rule of Thumb": Due to the immune-stimulatory nature of Lactobacilli probiotics, it is important to start with Bifidobacterium or a Butyrate-producing probiotic foremost and introduce lactobacilli after other cornerstone bacteria have been replenished. You eventually need Lactobacilli too, yet they are commonly overgrown in the small intestine at the start of a gut protocol. Prebiotic fibers and starches may feed wide groups of bacteria and potentiate any imbalance, so it’s important to reduce overgrowth and add immune-balancing bacteria foremost before promoting growth of wide groups of bacteria with prebiotics. We can also now be more selective with the prebiotic fibers we choose early on, and increase diversity as the microbiome allows. If you have a poor response to a probiotic formulation - choose a more targeted formulation that has less risk of being too immune-stimulatory in the short-term. Small intestine bacteria and (often Lactobacilli) bacteria will still be necessary long-term - but might be introduced too early or in too high of amounts that can be tolerated. If there are immune imbalances - too strong of a stimulatory response can promote that imbalance more. Start with more modulatory focus later in the GI tract like a Bifidobacterium-rich probiotic, and add diversity from there. Finally, introduce prebiotics in the form of supplements or foods in measured amounts that you can tolerate. I start with more targeted prebiotics like those found in MegaPrebiotic, and then progress to singular prebiotics such as partially hydrolyzed guar gum, and finally advance your intake with a broad spectrum prebiotic like Biotagen that contains inulin, arabinogalactins, and fructooligosaccharides. To keep the gut guessing, I rotate probiotics and prebiotics every 1-2 months and routinely add new varieties of vegetables and fruits to my diet. Here's what a progression may look like for both Probiotics and Prebiotics based on the products I turn to foremost in my practice. I start integrating prebiotics shortly after integrating Theralac. Like probiotics, taking prebiotics too early or too fast can set your gut protocol back in the short-term. If you're looking for a condensed version of a probiotic protocol using Microbiome Labs products - I encourage you to check out their Total Gut Restoration program. It is a great default program to follow - but I've included other probiotics and prebiotics that you can integrate. Provides spore probiotics and Bifidobacterium probiotic for early reconditioning of the flora. Megasporebiotic has been clinically studied to improve markers of leaky gut in as little as 30 days. The spores have also been clinically demonstrated to increase the diversity of other flora by 300-400%! Start low and work your way up with Megasporebiotic due to its powerful reconditioning effects. You'll help jumpstart metabolic activity, crowd out unwanted flora, and maintain your levels of spore probiotics as part of the microbe diversity in your gut. TruBifido is a Bifidobacteria-focused probiotic that is delivered safely through the stomach acid due to a unique patented capsule process that uses sodium alginate - an algae-derived compound that delivers the probiotic strains in a trojan horse fashion. Master Supplements, makers of TruBifido, boast a patented delivery process that not only delivers the probiotics safely to the gut, but also feeds and hydrates the flora once delivered in the intestines - something that you will not see with other probiotics, including those in a delayed-release capsule. They use this same technology for other probiotics & a deep-acting digestive enzyme known as Enzalase. In this stage, Theralac is integrated as a substitute for TruBifido. Prior to trying Theralac, I usually have clients taking TruBifido twice a day. Theralac starts introducing some Lactobacilli strains, but is balanced with Bifidobacteria strains as well. It's my preferred broad-spectrum probiotic of Lactobacilli and Bifidobacteria strains. I'll introduce Theralac by taking it in the morning, and still take TruBifido at night before switching to Theralac twice a day. The goal is to take Theralac in the morning and again at night for more advanced support - many see benefits at once a day. If you're looking for my wellness recommendation for good probiotics to take, it is the combination of these two formulas! For kids or those looking to avoid capsules, Master Supplements' Granular Theralac is a powder form of Theralac that can sprinkled and "folded" into applesauce, yogurt, and other foods. The granules are not intended to be blended as you'll lose the acid-proof delivery. Simply spoon it in to your food or beverage. Alternatively, Spore probiotics are very stable at high heat and capsules can be opened up and mixed and blended directly in food and beverages. TruFlora is a Lactobacilli-focused group of probiotic strains that is great at immune-stimulation and cleansing. I integrate it last as it is immune stimulating. I take it on trips with me for extra support, and may also turn to it in a more dedicated detoxification phase of my diet and lifestyle. I tend to switch between Theralac, and TruBifido monthly. Every 5th month or so, I will integrate TruFlora. This keeps my system guessing and helps support flora diversity which is the primary goal. You can also do these products in combination, but for practicality & to keep my system guessing - I focus on one product at a time unless I'm following a special protocol. If I suspect yeast overgrowth or need higher levels of support, I'll add Restorflora and/or HU58. These are particularly useful in C diff protocols and Candida-balancing protocols for the additional targeted support they provide. Bonus Discussion: Butyrate acts as fuel for the colon and immune cells - and a deficiency is correlated with a host of digestive maladies. Butyrate Ultra is new by Microbiome Labs for Spring/Summer 2019, and I'm very excited about its implications. Butyrate is a "metabolite" of healthy probiotics and a staple component of a healthy "metabolome" (see definitions above). It supports the health of colon cells, maintenance of the mucosal lining, and immune function. Some butyrate-producing bacteria are unstable in the presence of oxygen - so typical capsules will not work. Microbiome Labs has developed a novel encapsulation process & capsule delivery to create an air-tight capsule in an oxygen-free laboratory environment that does not open until in the oxygen-free regions of the gut. A diverse metabolome is as important as a diverse microbiome - and both work together to in a virtuous cycle. Butyrate is a keystone component of a healthy metabolome - and now we can support it in ways not thought possible until now. PREbiotic fibers, starches and supplements also promote Butyrate as they can feed some of these special butyrate-producing bacteria that normally cannot be supplemented orally. While you can introduce precision prebiotics early on in a protocol, I like to wait at least 3-5 weeks prior to introducing any prebiotic formula. This allows some microbial rebalancing to occur and prepare the gut for more support. For me, this normally happens 2-3 weeks after first introducing Theralac to a protocol (step 2 in the Probiotic progression above). Start low with a quarter of the intake and work your way up to tolerance. 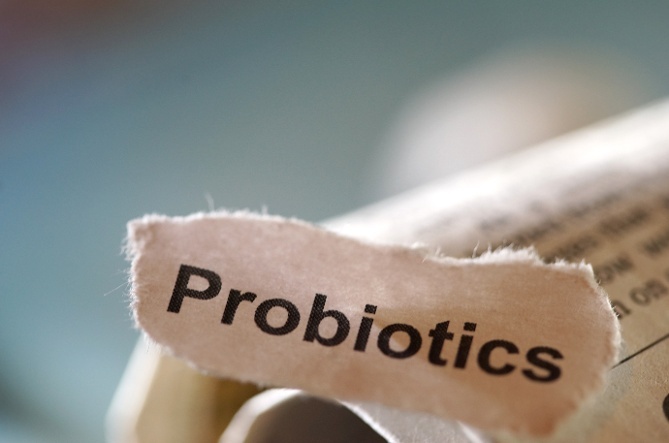 If it's still too much, look back to your probiotic progression or check out the 7 Core Strategies article to see where your missing links may be. Megaprebiotic contains three unique branched fiber compounds that selectively feed keystone groups of bacteria that are consistent amont healthy guts. Preferentially promote these strains before promoting wider strains with other prebiotic types. These keystone bacteria include Akkermansia muciniphila, Faecalibacterium prausnitzii, and Bifidobacteria. Partially hydrolyzed guar gum (PHGG) is a unique prebiotic that has been shown to help with both diarrhea dominant and constipation dominant irritable bowel syndrome. These prebiotic fibers work together to promote a wider swath of beneficial flora in the gut. I like to wait until I've promoted more balance in the microbiome prior to adding Biotagen so that it is better tolerated. Once you've worked your way through these products, now it's time to mix and match and rotate them to keep your system guessing. The body craves diversity, and giving it unique fibers on a rotating basis will do the trick. 3.) Targeted Support as Needed: RestorFlora, Hu58, Butyrate Ultra (when launched). 1.) Megaprebiotic is a foundational formula for precisional support of keystone flora, 1 scoop a day will do it! 2.) Rotate TruFiber, Biotagen, and others! You can rotate products similar to probiotics, but you can also separate them by time of day, ex/ TruFiber in morning, MegaPrebiotic at night. Or 1/2 a serving of products at the same time. Make it your own. 3.) Continuously add new varieties of vegetables in your diet! This is what the body intended aside from supplements. Try different colored carrots & cauliflower. Try unique vegetables at an ethnic food store. Eat lots of greens, and try the bitter ones too! Think of the Total Gut Restoration protocol as scaffolding for your gut repair - and the additional probiotics and prebiotics as a way to get even more rounded support. 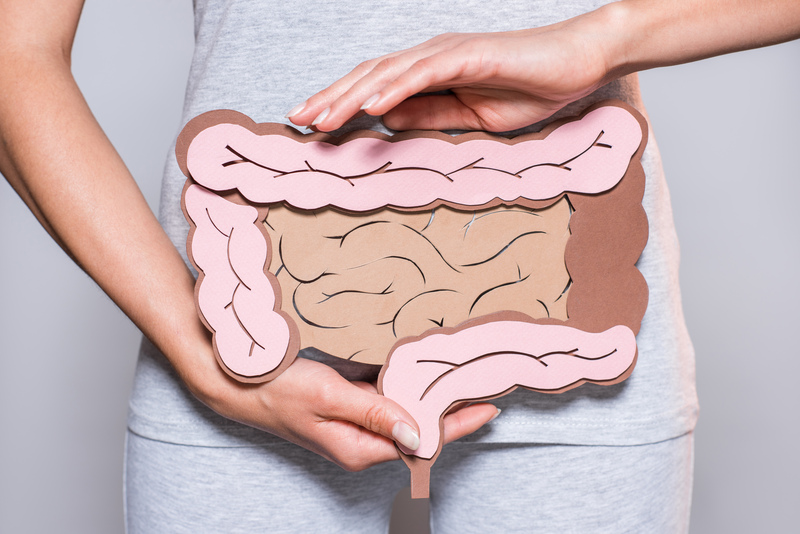 Check out my 7 Core Strategies to Heal the Gut Lining and Manage Leaky Gut which has received more excitement and positive feedback than any other article I've written to this date. Check this out especially if you have trouble tolerating new products. 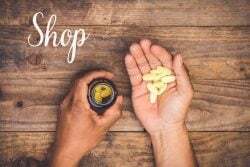 Between the Total Gut Restoration Protocol, the 7 Core Strategies, and the Probiotic and Prebiotic progressions described above, you will have a very complete picture of how to personalize your own strategy. If at any point your symptoms flare abruptly, lower intake levels or simply revert back to a previous stage of the progression! While there is always a place for professional coaching to guide you through a protocol, these discussions will save you research and hopefully answer a lot of questions for you along the way. There's a LOT of secret sauce in this discussion. I hope you enjoyed and please take a moment to share the article and submit your email for more content like this!